Police are appealing for witnesses after a woman was attacked and raped in North Tyneside. It happened in the early hours of Friday (March 4), inside an address in Willington Quay. 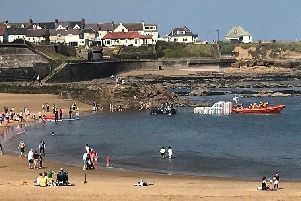 The 27-year-old woman had been out with friends in Whitley Bay and was seen to leave the South Parade area of the town some time after 2am with a man she had not met before. It is believed they left the area together and possibly took a taxi to the Willington Quay area. From there they went into an address and the woman was assaulted by the man and raped. She left the premises some time later and subsequently reported the incident. Her attacker is described as a white man. Police are carrying out inquiries in the area and are appealing for witnesses. Detectives particularly want to hear from any taxi drivers who were in the South Parade area and may have seen the man and woman and taken them to the Willington Quay area. They also want to hear from anyone with any information about the incident to contact them. Detective Inspector Sharon Chatterton said: "The woman is very distressed by the incident and we are still piecing together the sequence of events. Specially trained officers will continue to offer the victim the support she requires at this distressing time. "We would ask anyone with any information that could help us to get in touch as soon as possible, in particular anyone who was in the relevant area in the early hours of Friday morning. "We understand the impact reports of this nature have on victims and also the local community, residents who have any concerns should speak to a neighbourhood officer." Anyone with information should contact police on 101, quoting log number 476 of 04/03/16 or ring the independent charity Crimestoppers on 0800 555 111.